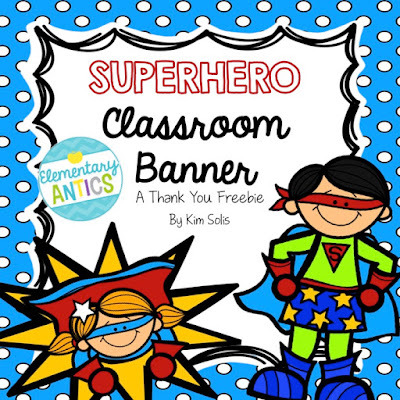 Just popping by to share with you a special freebie to celebrate all of your support in this TpT journey. Last week I reached 500 followers for my little Teachers Pay Teachers store and so I had to make something that I hope you can use in your classroom. You will find all the pennants you need to make your superhero banner that says, " ____ GRADE ROCKS" for 1st-5th grade. There are also 6 different superhero pennants and two blue pennants so that you can customize your superheroes. Here's the banner printed and hanging in my family room (since I'm not in a classroom this year)! Grab it in my store by clicking either picture!